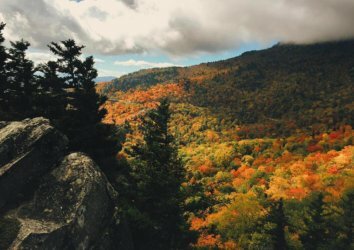 Although the beautiful colors of fall are now behind us, the 25th year of Smoky Mountain Winterfest is now underway! 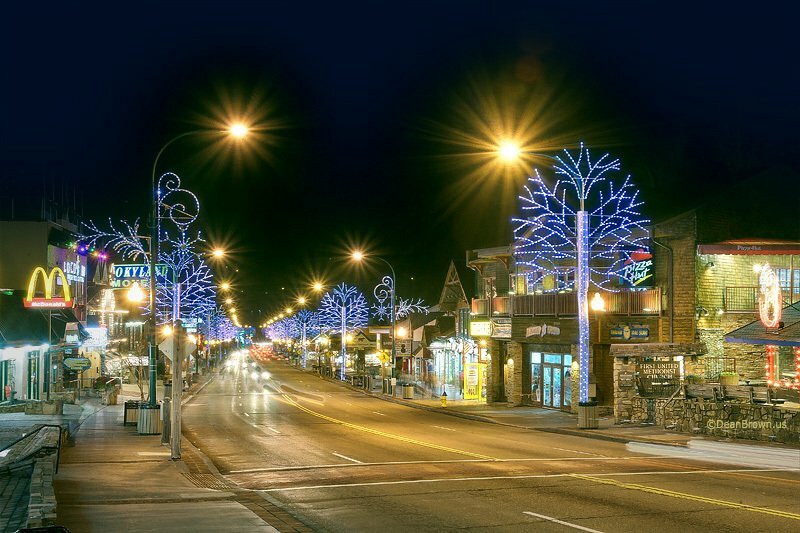 The cities of Sevierville, Pigeon Forge, and Gatlinburg have already installed festive Christmas lights that are sure to increase your holiday cheer. In addition to the millions of lights and hundreds of displays that the area cities put up, local businesses are joining in as well. Shops and stores ranging in size from small eateries to theme parks and attractions like Dollywood are doing their part to put you in the Christmas mood! 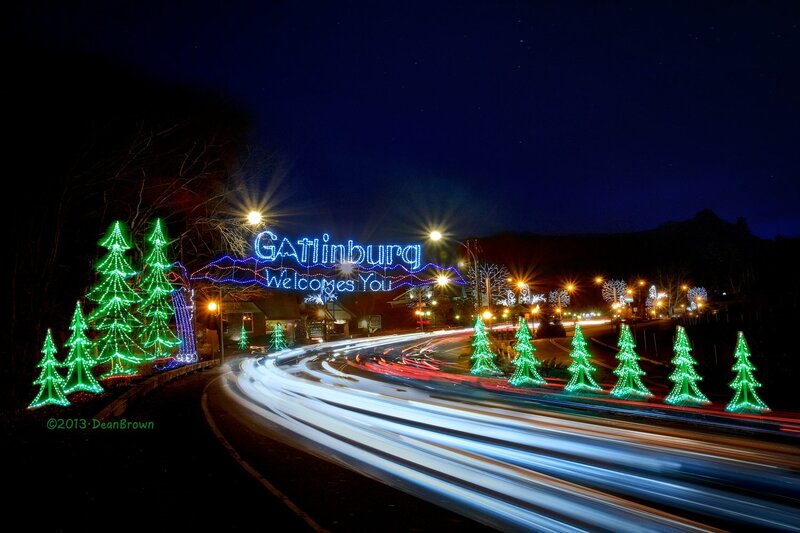 The Gatlinburg Winter Magic season is underway and the best way to see the millions of lights and amazing decorations is from the comfort of a specially designed Gatlinburg Trolley. These tours, which cost $5 per person, operate daily at 6:30, 7:30, and 8:30. The Ride of Lights begins and ends at the Gatlinburg Mass Transit Center adjacent Ripley’s Aquarium of the Smokies (Light #5). We highly recommend purchasing tickets online from the official vendor of the tour as soon as you have decided on your tour date/time. 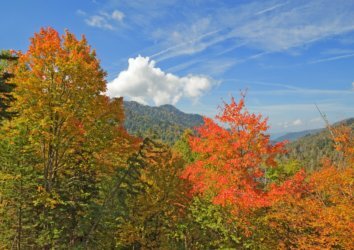 For more information, call the Gatlinburg Convention and Visitors Bureau at (865) 277-8222. These tickets sell out fast! Instead of fighting traffic yourself, consider taking the Winterfest Trolley Tour of Lights to view the five million twinkling lights of Pigeon Forge. Each trolley is equipped with a knowledgeable tour guide that will share stories and area information that is sure to make the trip more memorable. The Pigeon Forge Winterfest Trolley Tour, which costs $5 per rider, leave Patriot Park at 6:30, 7:45, and 9:00 Monday through Friday during November and December. In January, the tour operates at the same times, but only on Mondays and Fridays. 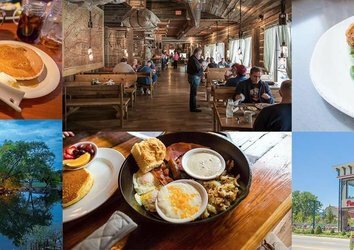 If you have questions, need additional information, or would like to make a reservation, please contact the Pigeon Forge Fun Time Trolley at (865) 453-6444. 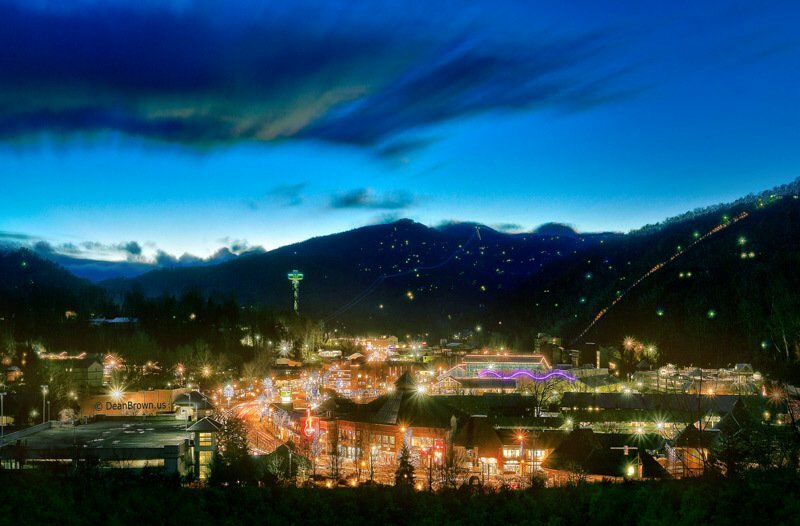 If you are looking for the perfect spot to view the Gatlinburg Christmas lights and decorations from, the Space Needle should definitely be on your list. The 407′ tall Space Needle offers 360-degree views of the mountain town below. 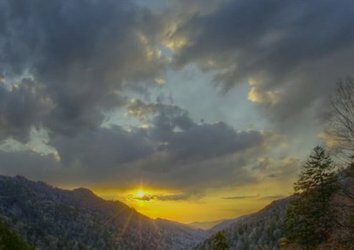 In addition, for the first time since 1990, this iconic Gatlinburg attraction has a humongous Christmas tree installed above the viewing platform. The world’s largest drive-through, fully-synchronized, LED Christmas light show is a brief 30-45 minute drive away from Pigeon Forge and Gatlinburg. Shadrack’s Christmas Wonderland offers visitors a unique drive-through Christmas experience that is not to be missed. The synchronized Christmas-light and music event lets guests of all ages enjoy festive holiday songs as they watch 300,000+ bright LED lights dance to the music. The show runs nightly between Dusk and 10 pm from November 7th to January 4th. The tickets, which are purchased on-site, are $20 per car, van, or SUV. The display is located near I-40 at 3540 Line Drive Kodak, TN 37764. In addition to the lights display, there is a Christmas village with inflatables (all-you-can-play for $5), Camel & Pony rides (additional expense), photos with Santa (additional expense) and a full snack bar. It is difficult to imagine a better spot to celebrate the Joy of Christmas than Christmas Place! The beautifully decorated Christmas village, which has been open for over 25 years, celebrates Christmas 365 days per year. The beautiful collection of Christmas stores gives visitors the chance to view over 60 themed Christmas trees, tens-of-thousands of brightly shining Christmas lights, a model train display, and much more! Carol of the Trees – After the sun goes down, Dollywood lights thousands of twinkling Christmas lights and synchronizes the Christmas trees to music. Dollywood’s A Christmas Carol – A cast of 15 puts a unique twist on this Charles Dickens classic. 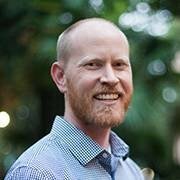 The 45-minute musical features seven new songs written especially by Dolly Parton and uses holographic technology to bring Dolly to stage in the role of the Ghost of Christmas past. In addition, Dollywood is fully decorated for Christmas and has additional shows, attractions, and experiences dedicated to the Christmas season. 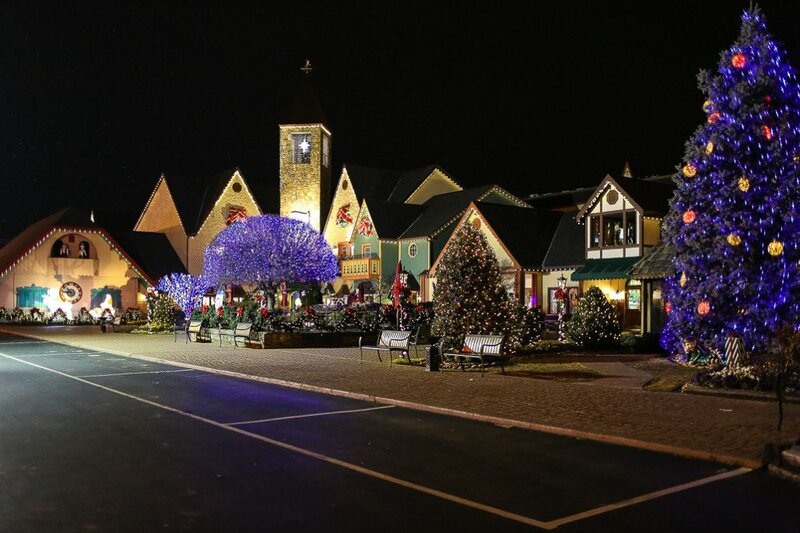 The Village, which is located in downtown Gatlinburg near Light #6, is the perfect spot to get in the Christmas spirit. 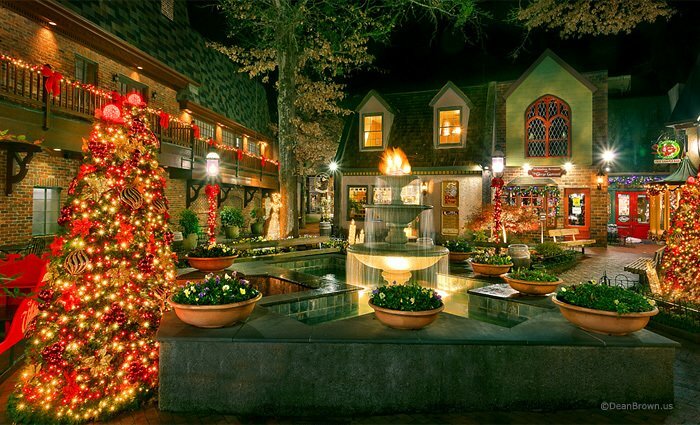 The Village has 27 shops, eateries, and boutiques centered around a beautiful fountain in a quaint Old World Setting. The shops are beautifully decorated with Christmas lights, Christmas trees, garland, Santa’s sleigh and much more! This is the perfect spot to grab a cup of coffee and some fresh homemade fudge while you enjoy the season. These ideas are just meant to get you started. 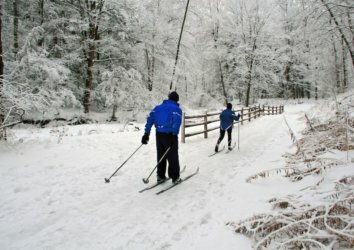 Our area has Christmas parades, Thanksgiving fireworks and snow, five-story tall singing Christmas trees and tons of other fun Christmas activities! 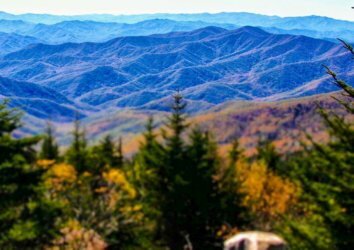 We hope you enjoy visiting the beautiful Smoky Mountains for the holidays! It is difficult to imagine a better spot to celebrate Christmas and make memories together during this special time of year.